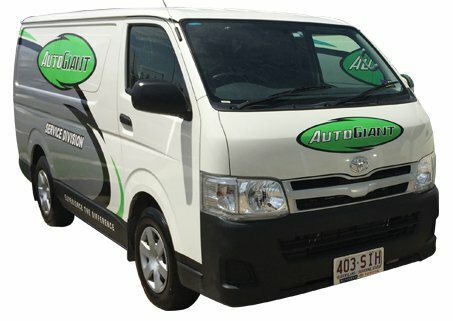 Auto Giant is your North Brisbane Automotive Service Sales and Repairs specialist repairing all your vehicle needs whether it's car, truck, trailer or caravan. Our trained technicians have over 30 years experience and more than 100,000 hours under the hood. Vehicle manufactures set service intervals to ensure that you get the very best performance from your vehicle over its life. At Auto Giant Service centre’s we complete extensive vehicle inspections at each interval to ensure that your vehicle is repaired cost effectively. Rest assured that when your vehicle is in the hands of the Auto Giant workshop it will be examined with the utmost precision and efficiency due to the vast experience and equipment that Auto Giant has to offer. At Auto Giant we have a fully equipped Mobile Service division providing access to repair your vehicle at your home or work. Are you looking for a mechanic Brendale wide that you can trust? At Auto Giant, we have built our reputation on honest communication and superior customer service. Whether you are looking for a car service in Brendale, Albany Creek, Eatons Hill, Bracken Ridge, Bray Park, Bridgeman Downs, Warner, Strathpine or other surrounding North Brisbane suburbs, our service centre is easy to get to and conveniently located on South Pine Road. When you bring your vehicle to us for a car service or car repairs, you can trust that extra work will not go ahead unless you approve it, and when it does, it will be carried out by experienced technicians who use only quality and genuine parts. We also take away the inconvenience of being without your car by providing loan cars and transport services to all our customers. Customer satisfaction is something that Auto Giant is very passionate about. We regularly conduct follow-ups and surveys to ensure we are always exceeding the expectations of our valued customers. 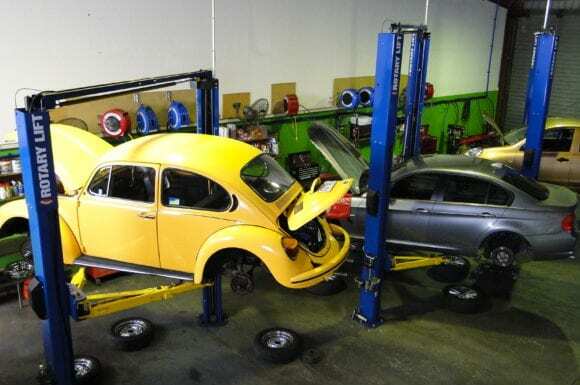 So, if you’re looking for a car mechanic in the north Brisbane area that always has your satisfaction in mind, turn to our honest and reliable team at Auto Giant. Never expect less than the best when your vehicle is being serviced by a Brendale mechanic from Auto Giant. We always aim to exceed your expectations with expert work, outstanding customer service and an extensive range of services. Our Auto Giant car service centre is fully equipped to handle all types of repairs and car services. From wheel alignments and balancing to auto electrical, brake, clutch and steering repairs, the list of services we offer is truly extensive. Our technicians are also highly trained, holding over 30 years and 100,000 hours of experience, so you can trust our team has the know-how to perform every repair correctly and efficiently. Check out our full car service and repairs page for a complete list of services we offer. We do what we can to make the process of servicing your car as easy and stress-free as possible. You will wonder why you haven’t brought your car into us sooner once you see the unbeatable list of services and benefits we offer! We even offer a FREE loan car so you can drop the kids at school or rush off to that important meeting. Keeping up with your log book servicing is a must for every car owner. Vehicle manufacturers set service intervals to ensure that you get the very best performance from your vehicle over its life. At Auto Giant service centres we complete extensive vehicle inspections at each interval to ensure that your vehicle is fully serviced and repaired cost-effectively. Once the service is complete, we will fill in your log book for you accurately. Not sure when your vehicle is due for a service? Visit our log book servicing page to find out the service intervals for the most popular car manufacturers. You can trust that your vehicle is in good hands when you drop your car off at our Auto Giant workshop. Our diagnostic equipment is sophisticated, offering fast and efficient troubleshooting to find any vehicle faults and malfunctions. Want more information about our diagnosis equipment? Our diagnosis page has all the information you’re looking for. Unable to get your vehicle to our service centre? Not to worry, we also provide mobile car services for your convenience. No need to go out of your way to get a car service when our mobile service unit can come to you! Whether your vehicle is at home or at your workplace, we can reach your vehicle in any location across Brisbane in a timely manner. Visit our mobile car service page to find out more and make a booking with us. We know what an inconvenience it is to be without your vehicle while it is being serviced. That is why we have convenient options available so you are not put out while waiting for your car to be repaired. We are flexible and eager to please, so wherever you need to go, and whatever transport you need while we are looking after your vehicle, we can handle it for you. Our complimentary loan car service is a popular option for our customers. If a loan car does not suit your needs, we have four other convenient options to take advantage of when you drop your car off at our service centre. Visit our complimentary cars and services page to find out more. If you are worried that genuine parts won’t be used if your vehicle is not serviced by the dealer, there’s no need to worry with Auto Giant. We guarantee the use of genuine parts for all vehicles we repair and service, and we never compromise on quality so you can trust that your vehicle is in good hands at our Auto Giant mechanic Brendale workshop. Our Brendale mechanics are experienced at servicing and repairing vehicles from a variety of Brisbane fleet companies. We know how important it is to stick to your business budget which is why we always have cost-effectiveness in mind when servicing your fleet vehicles. Plus, we always advise the best way we can maintain your fleet to keep your costs down while also ensuring a quality service. Visit our fleet business solutions page to find out more about the benefits of our Auto Giant fleet priority program. At Auto Giant, our experienced team of Brendale mechanics takes pride in delivering superior quality car servicing and repairs. But with so many mechanics to choose from across Brisbane, why should you pick our team at Auto Giant to handle all your car servicing and repair needs? It all comes down to our key company values: Passion, Commitment, Uncompromising Quality and Customer Satisfaction. All our mechanics are passionate about cars, and they love the challenge of working on all types of vehicles and making sure they are in optimal condition. We want to ensure you are getting the very best out of your vehicle, and it is our passion for what we do and years of experience that allows us to exceed our customers’ expectations time and time again. There is no job too big or problem too hard to fix at Auto Giant. We are committed to doing everything possible to get the results out of your vehicle that you deserve. By seeing each and every job through till the very end, no matter how big or small, no job will be left unfinished and every customer will drive away happy. We know how important it is to service your car properly, and we take our job very seriously. After all, your safety depends on a well-serviced car when driving on the road. That is why we never cut corners or compromise on quality. We use only genuine parts for all repairs, and we put 100% into everything that we do. Above all else, we strive to make our clients happy. Not only do we achieve this by providing a high-quality service, but we always greet our customers with a smile and a friendly face. We also go out of our way to make the process of getting your car fixed or serviced as convenient and hassle-free as possible. Want to experience the best Auto Giant has to offer? Sign up to become an Auto Giant member today! It’s free to join, and you receive a range of unbeatable benefits including priority servicing, a free pickup and delivery service, free in-dealership tea and coffee, and much more. Visit our Member Benefits page for more details about what you can gain from being an Auto Giant member. We mean it when we say we are dedicated to customer satisfaction. We know that a reliable and trustworthy mechanic can be hard to come by, which is why we go out of our way to provide our customers with everything they need and more. We always make sure all our clients are pleased with the service they receive when they leave our service centre. Don’t believe us? We let our customers do the talking. Check out our testimonials page to find out what our clients think of our outstanding service. 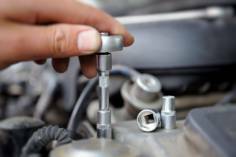 Want to book a car service with our Brendale mechanics online? It’s easy to book a service with us on our website – just fill in the online form on our car service booking page and we will be in touch with you shortly to confirm your booking. The days of taking your car to a dodgy mechanic are behind you. Don’t be surprised by an overpriced or poor car service or repair again. 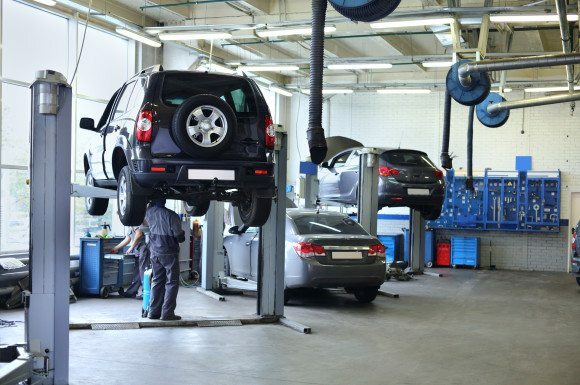 At Auto Giant, we have built a solid reputation in the industry by providing honest communication and quality car servicing at the right price. Whether you visit our service centre or take advantage of our mobile car services, you can rely on us to expertly service and repair your vehicle to the highest standards. If you are looking for a local mechanic to service your car in Albany Creek, Eatons Hill, Strathpine, Bridgeman Downs, Bald Hills, Bracken Ridge, Bray Park, Warner, or the surrounding area, our car service centre at Brendale will offer you superior customer service. If you have any questions, please feel free to contact our staff (Receptionists or Service Advisor) directly. We always welcome any feedback we receive. 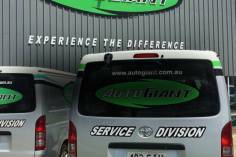 Call us today on 3881 2900, send us an email at reception@autogiant.com.au or visit our contact us page to get in touch with us online.